The Nick Hanauer Problem: Why the recovery is going so slowly. 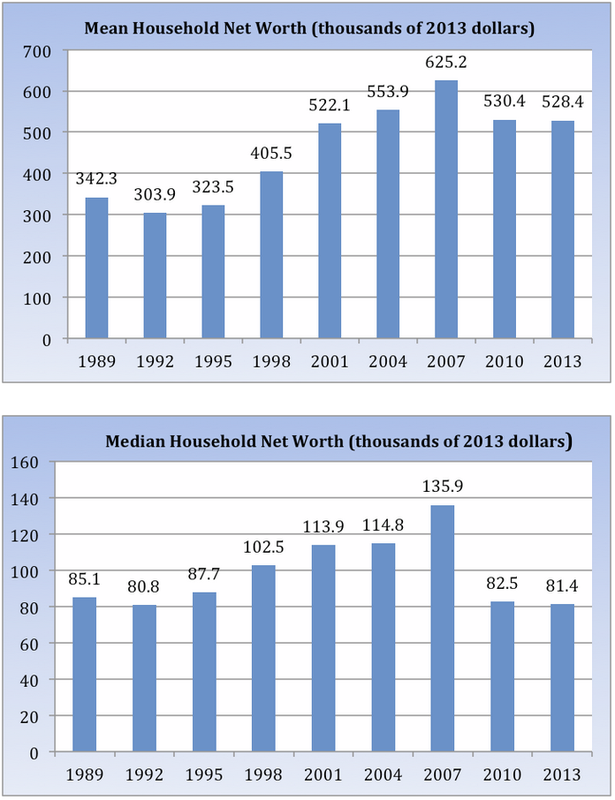 Changes in Mean and Median Net Worth. Invictus over at the Big Picture Blog had a chart rich article last month called “Bill Gates walks out of a bar – Of Means & Medians” that explored some of the causes for the slow economic recovery in the US. What really caught my attention was how skewed the distribution of wealth is with the mean (aka the ‘average’) being 6.5X the median* (50% above, 50% below). How do we keep the peasants from revolting in these conditions? Or more realistically because 90% of us are not in the top 10% why do we not revolt? 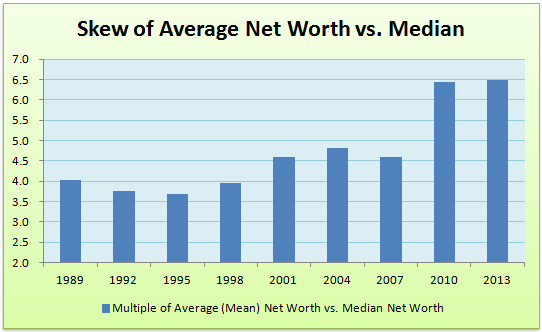 With the Mean Net Worth 6.5x higher than the Median, the distribution in very skewed. This means that the economy is suffering from the Nick Hanauer problem; the wealthy aren’t Continue reading The Nick Hanauer Problem: Why the recovery is going so slowly. Posted on August 13, 2015 June 1, 2017 Categories Multifamily Investments1 Comment on The Nick Hanauer Problem: Why the recovery is going so slowly.